Four teens were rescued by beach patrol units at San Francisco’s Ocean Beach this afternoon after they became caught in the surf and dangerous rip tides. The teens were lucky that the rangers happened to be on hand, however, and a National Park Service spokeswoman said the incident could have had a far more tragic ending. National Park Service beach patrol units had responded to the northern end of Ocean Beach around 2:30 p.m. on a report of an unexploded military flare found in the area, according to spokeswoman Alexandra Picavet. The units were maintaining a safe perimeter around the area while they waited for bomb squad technicians to respond, when they received a report of four teens in distress in the water. Beach patrol members were able to help the teens, at least some of whom were from San Francisco and San Bruno, from the water. Two boys were in good condition and did not need further treatment, while two girls were transported to the hospital for further observation, Picavet said. A San Francisco Fire Department official said the girls were both stable and alert when transported. The flare, which could have washed ashore from military vessels offshore, was safely detonated, Picavet said. 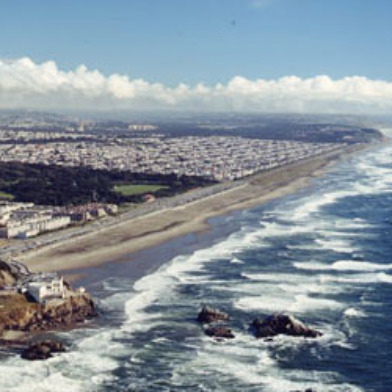 Picavet said Ocean Beach is not considered a “swimmable” beach and does not have life guards on duty. Beach patrols warn beach goers to be cautious of rip currents and strong surf, and had apparently cautioned the same group of teens earlier in the day, she said. But it was only because of the unexploded flare that they happened to be in the right place at the right time. 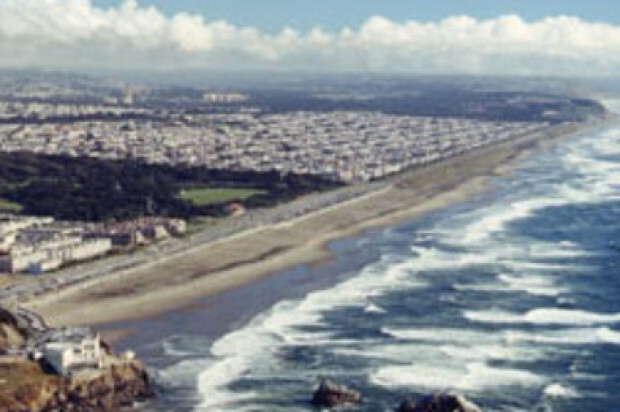 Rip currents are a constant danger at Ocean Beach and Picavet said they are a particular problem in the fall, because ocean storms generate more rip currents at a time when warmer weather draws more people to the beach. “People really need to be vigilant around the water,” Picavet said. Swimmers and beach-goers who get caught in a rip current should try to swim parallel to the shore. Those who see a friend or another swimmer get caught in one should not go into the water to try to save them, but instead keep them in sight and call either 911 or the National Park Service emergency number at (415) 561-5501.